Let your photographer shine and have a personal photo gallery on display anywhere you like. 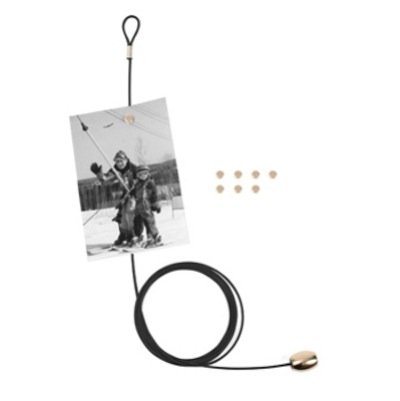 Our photo/card holder hangs eight photos on a weighted steel cable. The photos adhere with the 8 Neodmyium magnets included. Available in black, blue, green, red and white. Colors subject to availability.